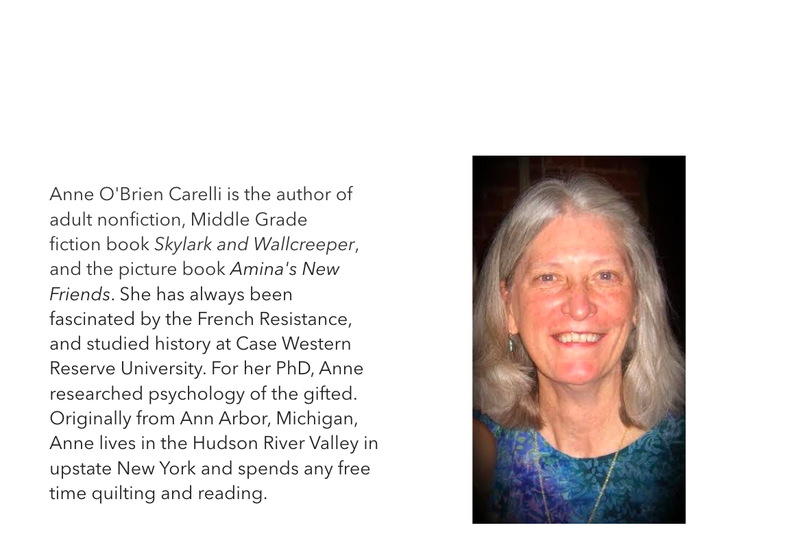 We are thrilled to welcome Anne to our blog! 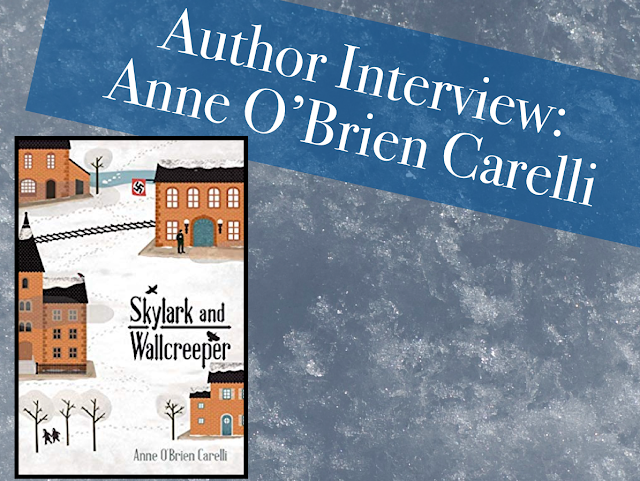 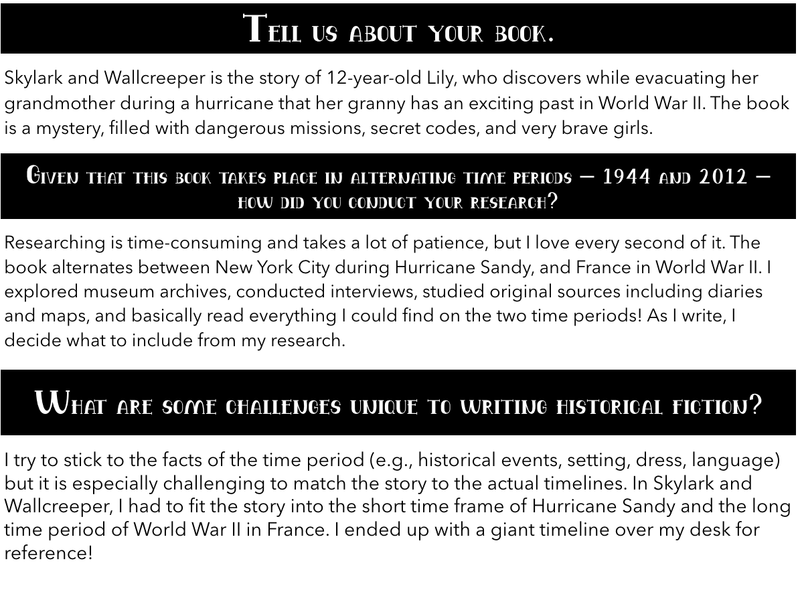 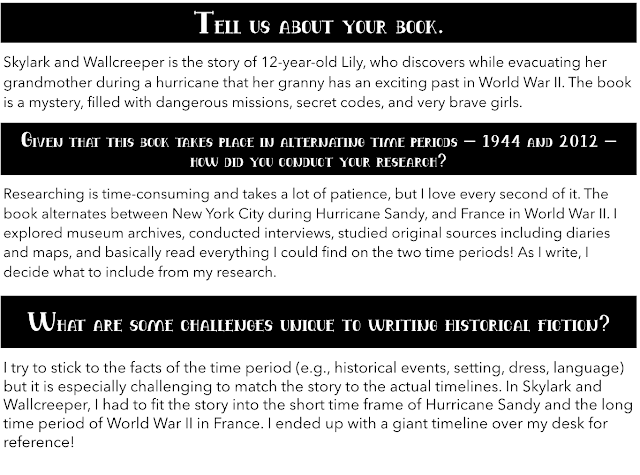 Her book Skylark and Wallcreeper published this past October and features something we love-brave girls! It would make for a perfect read aloud, book club book, or whole school book study! 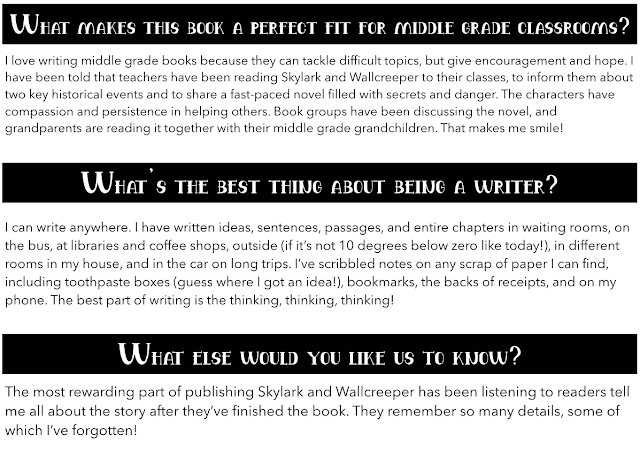 What are my 5th graders reading?